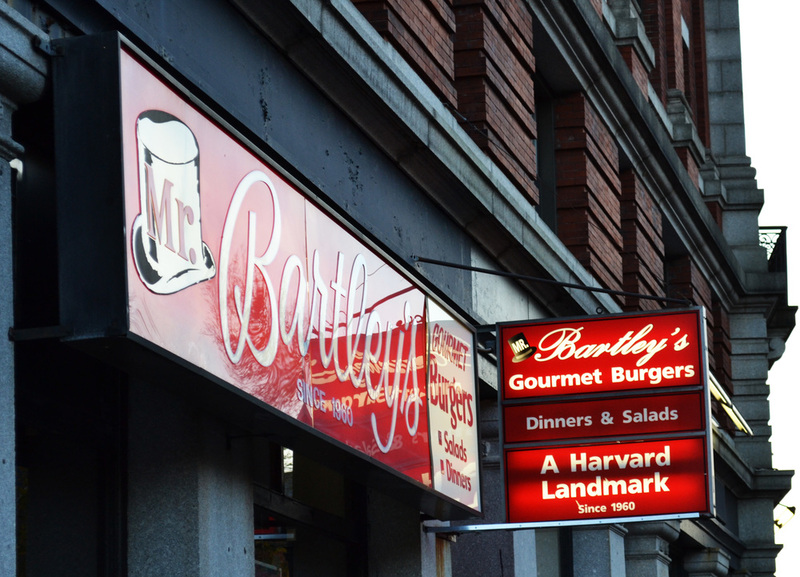 I first heard of Mr.Bartley’s while taking a summer course at Harvard a couple of years ago. 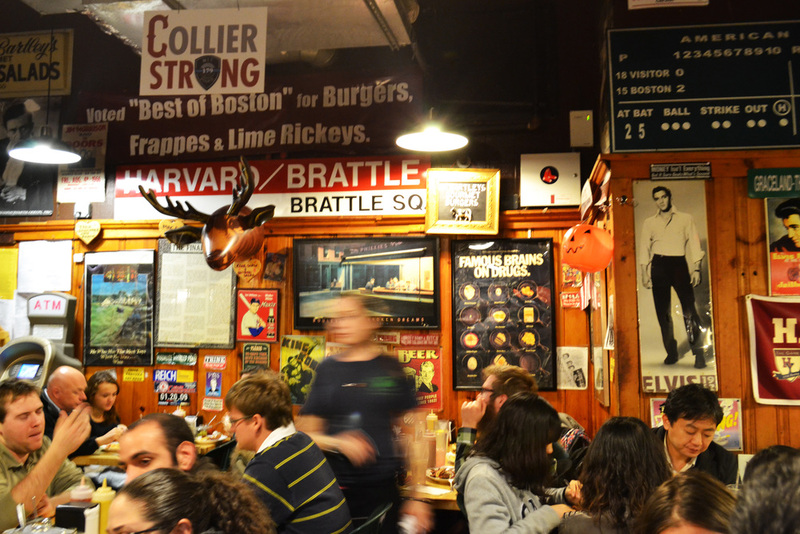 The students could not stop gushing over the place; in fact, everybody who has been there conclude that Bartley's (as the numerous awards hanging in the restaurant indicate), has the best burgers in Boston. Its website boasts an incredible list of past celebrity customers including Bob Dylan, Bill Belichick, Al Pacino and Adam Sandler. I was in the mood for something with bacon so I ordered, “The Joe Biden.” Our waiter was courteous and was interested in helping us pick the best burgers, something I didn’t expect at such a casual place. During the wait, we noticed more of Bartley’s personality shine through in its decor. There were posters all around the crowded walls, both hilarious and passionate about everything Boston. Our burgers arrived fairly quickly. By looks alone, I thought that all the hype had been exaggerated. The burger looked clumsily put together with all the ingredients spilling out; then I bit into it. Juicy and tender, all 7 ounces of it hit the spot, and every bite was a rich cocktail of flavors. The buns were not the priority in these burgers, but everything in between was. Around the table, “The Big Papi” and “The Dropkick Murphys” were also big hits. Beware of the “The Big Papi” if you can't handle the heat of a massive double burger with cheddar cheese and barbeque sauce. Priced at $17.85, it was the most expensive item in a list that had an average price of around $12. Something I had planned on trying but could not after being stuffed by my burger were Bartley’s frappes, which are supposed to be perfect, but I left the quirky little joint knowing that I'll be back soon. Whether you go your freshman year or your senior year, Bartley’s is a landmark you do not want to miss. If you make the excellent decision to go, please find out and let me know whether the legendary “Obamacare” burger exists or not.